Lee WestwoodLee Westwood won't forget his amazing 2009 campaign in a hurry. But only time will tell if those memories will be tainted with regret. As he prepares to start the 2010 season in Abu Dhabi this week, the 36 year old from Worksop could easily be regarded as the best player in the world without a major title to his name. 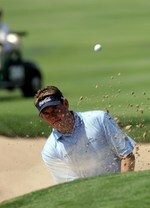 He was named by his fellow professionals as the winner of The European Tour Players’ Player of the Year Award for 2009. Yet he had a golden opportunity to win The Open at Turnberry and let it slip through his fingers. How many more chances he will get before youngsters like Rory McIlroy elbow his generation aside? European No 1 Lee Westwood has won the Golf Writers’ Trophy for a third time and joined the legendary Seve Ballesteros as the only three-time recipients. Catriona Matthew, who won the Ricoh Women’s British Open just 11 weeks after giving birth to her second daughter Sophie, was the clear runner-up in the annual poll which saw Northern Ireland’s emerging star Rory McIlroy finish in third place and Sweden’s Anna Nordqvist fourth. 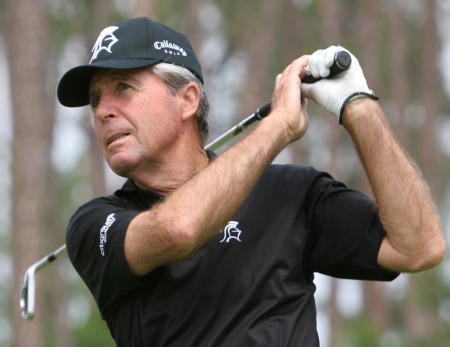 Gary Player is backing Lee Westwood to win a major, providing he improves his chipping and bunker play.Gary Player reckons Rory McIlroy and Lee Westwood could do worse than take up pitch and putt.